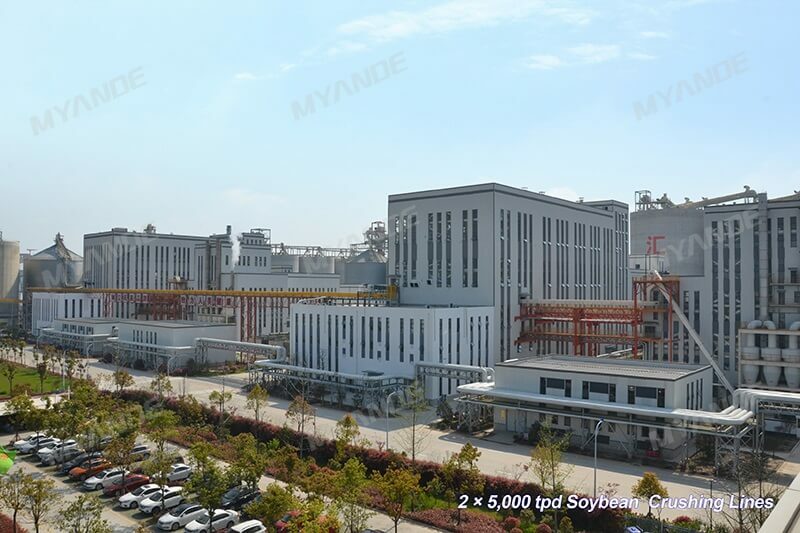 One 5,000 TPD soybean crushing plant built by Myande Group for Hopeful Grain & Oil Group started operation. 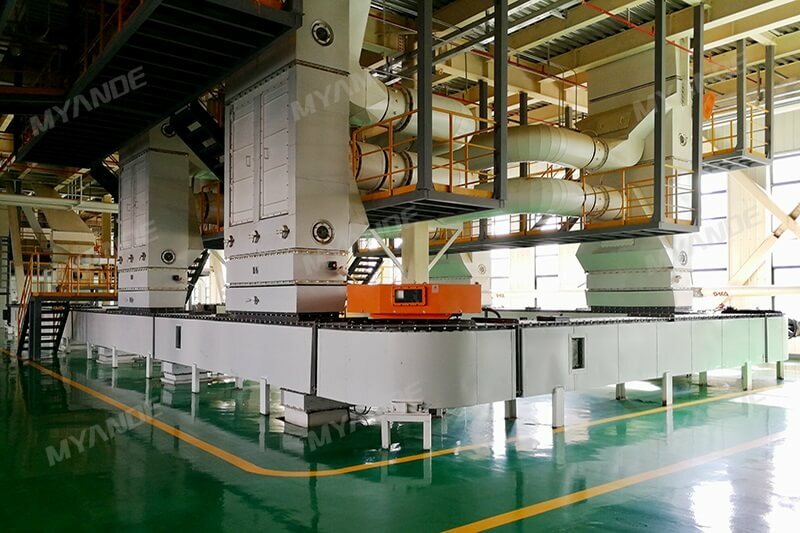 Throughout the trial running process, the whole production line ran stably and the produced oil and meal are qualified without any material loss. Mr. Shi Kerong, Chairman of Hopeful Grain & Oil Group and Mr. Xu Bin, Chairman of Myande Group, participated in the first-day trial running ceremony. This project is located in Taizhou City, Jiangsu province, in the heart of the Yangtze River Basin. “To build a first-class project and become industry benchmark” is the consensus reached at the beginning of this cooperative project between the two Myande and Hopeful. During the construction period, both sides made full use of their capabilities and resources. Hopeful Grain & Oil has mature and rich experience in oil processing, operation and management, while Myande contributed its strong capability in equipment R&D, process and project design, manufacture and automatic control. Both sides paid meticulous attention to all engineering details to ensure the complete success of the construction process. On the day of test running, after inspecting the project site, Mr. Shi Kerong gave full affirmation to the engineering construction and remarked that “ the actual result of this project is better than what he had expected”. 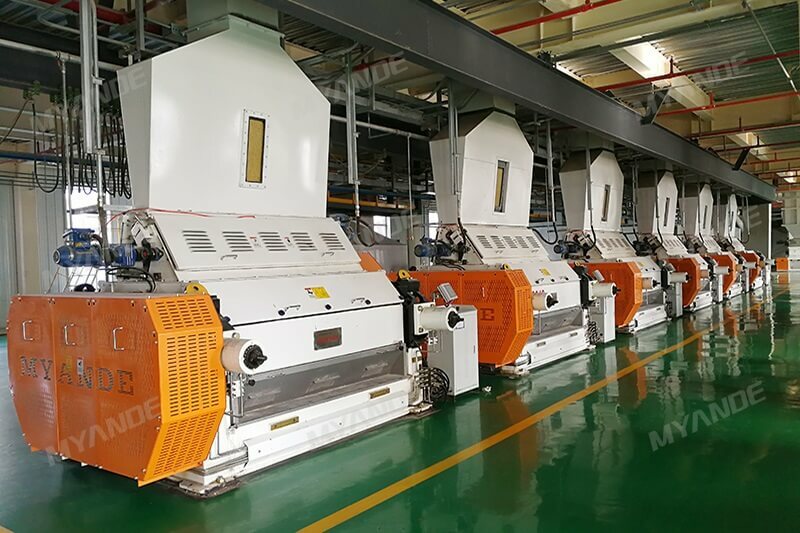 This production line incorporates Myande’s full range of mechanical products, including oil extractor, energy-efficient DT and DC, oilseed flaker and cracker, combined deodorizing tower, freezing condensation system and intelligent control system. In addition, numerous innovative energy saving and environmental protection solutions are adopted. These include exhaust heat recovery, smell elimination, optimized vacuum system, DC exhaust heat and vapour catcher, and re-use of steam condensate. 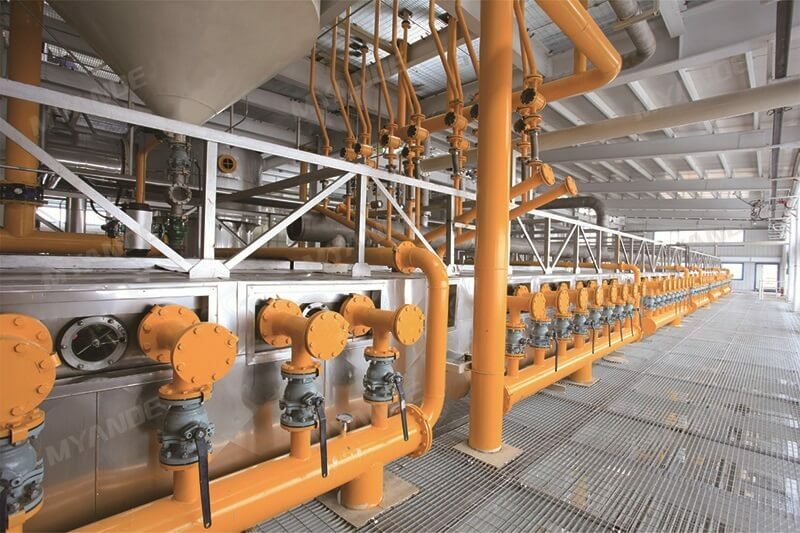 According to Mr. Tian Baodong, technical director of Hopeful Grain & Oil Group, residual solvent in both wastewater and exhaust vapour has “reached the best index in the industry”. At present, the complete line is yielding qualified product at its full designed capacity.